Selling products to anything is the weirdest and most exhausting thing to do, next to soccer. I don’t think I could work on commission like at a retailer. Trying to sell people things is awkward to me. Astute people may recoginize the other dude in panel one as Paul Westover from Woody after hours. Paul was kind enough to grab me coffee at fanexpo last weekend and I just thought of him as a pile of dirty sweaty stripper bills. Ladies, have you always wished there was a pen just for you. Now there is. Sorry dudes. You are! You are 1’s and 0’s too! Just remember my friend, whenever you feel like you’re whoring yourself for money….listen to this. Have another, your not quite there yet. I see everyone like that, all the time. So I hear the IAMARG book is selling well these days. So when’s the next one (“Hawt gurls looking HAWT”) coming out? Hell, even the moths have abandoned me due to lack of funds. 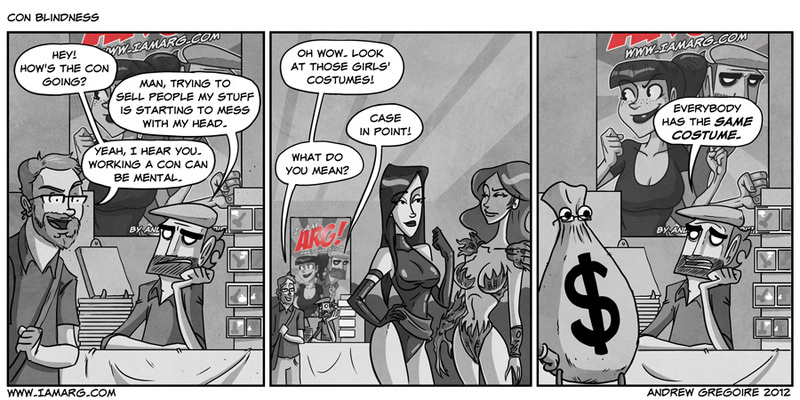 See that fokes… That’s the money you could be making if you hired a boothbabe! That explains why they look at you intently, and sometimes like a puppy waiting for food. You should make this a banner to put up behind your booth. for just a split second… i saw a paperclip instead of a money bag. Personally, I like the new drawings by Stjepan Sejic better, not only are his full of epic detail, but his portray of the Witchblade armor actually does look like armor. Case in point: http://nebezial.deviantart.com/gallery/10002150?offset=48#/d201hcz (not the best angle in the world, but at least you get to see all the detail). 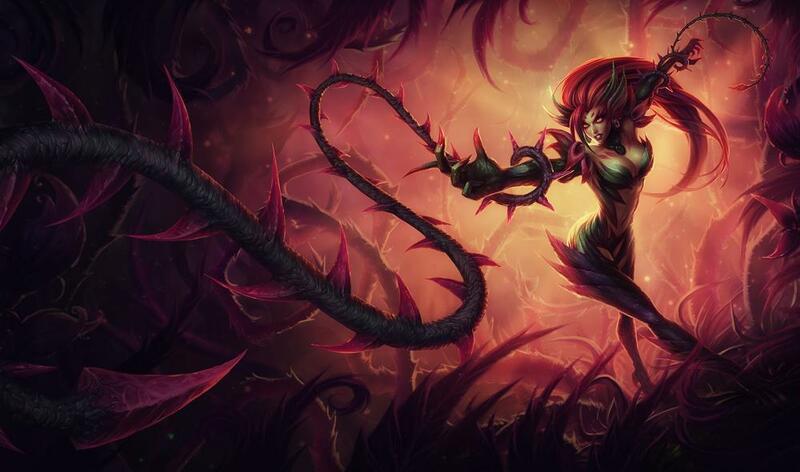 Is that Zyra (http://i.imgur.com/JLMyx.jpg) and do you play League of Legends?